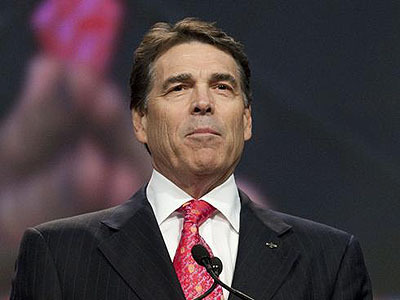 Is Rick Perry Too Radical Even For the Tea Party? On Saturday I posted my top ten list of reasons that Rick Perry probably can’t win the Republican nomination and definitely won’t win a general election against Barack Obama. Needless to say, I got a lot of pushback, and the bulk of it had to do with my belief that, even for Republicans, Perry is just a wee bit too crazy radical. The general view of my critics — one that’s admittedly persuasive — is that it’s pretty much impossible to be too crazy radical for today’s Republican voters. Maybe so! And yet, I continue to contend that the rank-and-file of the party still contains a lot of non-crazy non-tea partiers who just aren’t going to be willing to pull the lever for someone like Perry (or Michele Bachmann). 7. All Bank Regulation Is Unconstitutional: Criticizing the Security and Exchange Commission’s rulemaking process under the Dodd-Frank financial regulation bill, Perry asserts that “if the Constitution were shown the appropriate respect, Washington regulation writers wouldn’t have to worry about underrepresented views, because they wouldn’t have control over them in the first place” (page 94). And that’s just the middle of the list. I suspect there’s soon going to be an enormous bubble of pundits reading Perry’s book and excerpting the juiciest parts, but this should get you started. In the end, this may or may not end up being too much for Republican voters this year, but it’s sure as hell too much for a general election. Unless the economy falls completely off a cliff, or Barack Obama is caught on videotape sneaking out of the White House to engage in serial killings, I flatly don’t see how a guy like Perry can win in November. Once Republicans figure this out, Mitt Romney is going to start looking a whole lot better to them.